Founded as a non-partisan, grassroots organization, BPW/USA was formed in 1919 and merged with BPW Foundation in 2009. BPW/St. Petersburg-Pinellas was founded in 1966 to carry forward the BPW mission. As the first organization to focus on issues of working women, BPW is historically a leader in grassroots activism, policy influence and advocacy for millions of working women. The BPW network includes tens of thousands of members of diverse ages, races, occupations and politics. One of the first women’s organizations to endorse the Equal Rights Amendment in 1937, BPW has been a successful leader in promoting and supporting legislation affecting working women ever since. 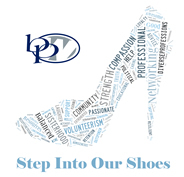 In addition, BPW educates its members on policy issues and provides them the tools to become effectively involved in policy development in their own workplaces and in grassroots efforts at the local, state and federal levels. BPW members also support their beliefs financially. BPW/Florida’s Political Action Committee (PAC) provides contributions and endorsements to women and pro-women candidates for state office who support the BPW legislative agenda. √ Ensure equality for all, including passage of the Equal Rights Amendment (ERA). √ Guarantee pay equity and equal employment opportunities for women. √ Ensure environmental concerns are addressed as they relate to women’s health, wealth and well-being. √ Ensure women’s health care needs are met, including full access to all reproductive health services.